After a quiet start to the year due to illness and overseas travel, I am now back on “Gam duty” for 2014 and loving the involvement, love, laughter and learning with my treasures. The weather here has been too hot for many adventures but the attraction of waterplay is always a winner with young children. Great entertainment can be had with a small bucket of water and a paintbrush. 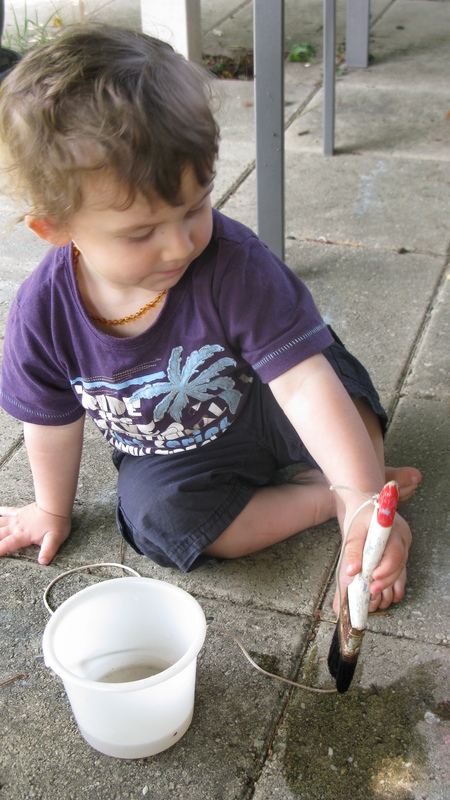 Too young to actually draw yet, this toddler finds blobbing and splashing water onto the terrace great fun!